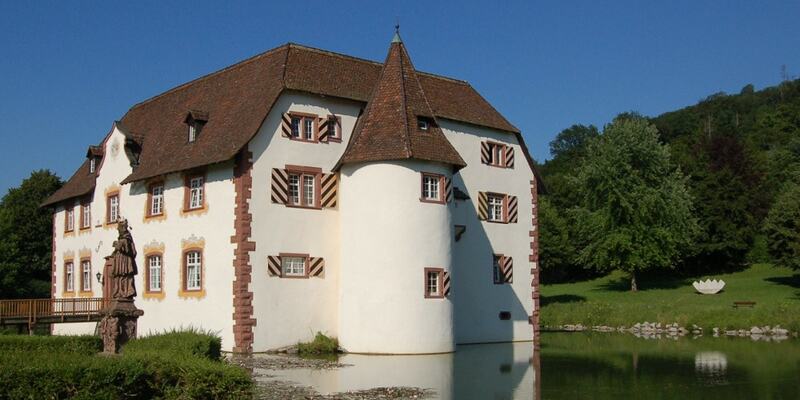 Inzlingen Castle is a medieval castle surrounded by a moat situated just at the Swiss border line near Basel. Since 1820 the castle was a domicile for a weaving mill producing silk ribbons and afterwards it was used for a century as a farm house. In 1969 Inzlingen Castle was purchased by the municipality of Inzlingen and renovated thereafter. Since 1978 it functions as city hall of the municipality of Inzlingen. Furthermore, there is a luxury restaurant within the castle. In 1980 the Deutsche Post issued a stamp showing an engraving of Inzlingen castle.